A two bedroom semi-detached house providing scope for further cosmetic improvements to individual taste. Gardens to front and rear. 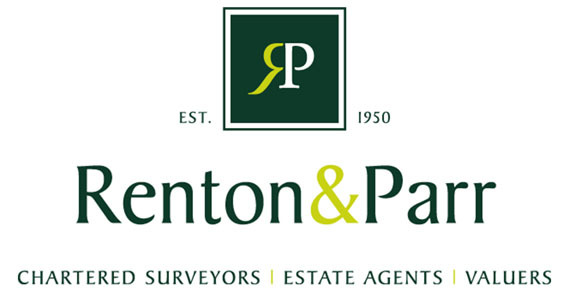 The property is offered for sale with the benefit of no upward chain. BOSTON SPA Boston Spa is a predominantly stone built village with many Georgian properties, situated some 1 1/2 miles east of the A1 on the southern bank of the River Wharfe. DIRECTIONS Proceeding from Wetherby south along the A168 towards Boston Spa and Tadcaster. 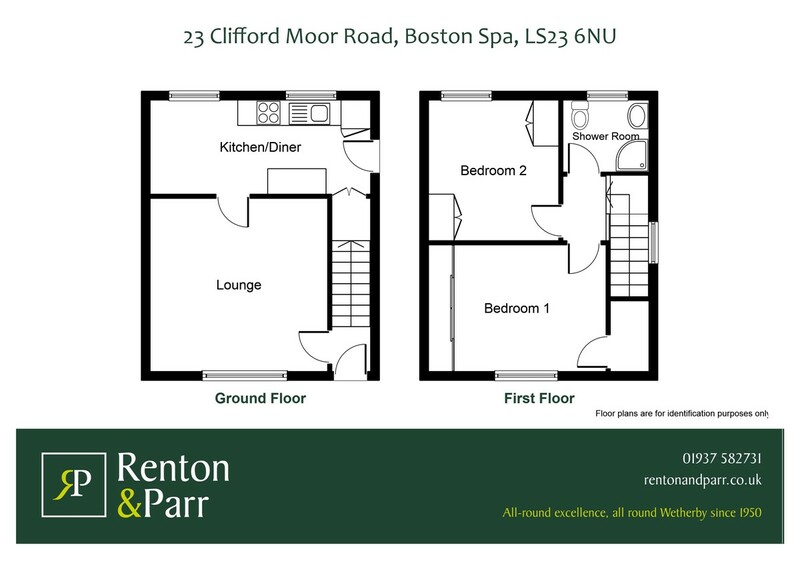 Entering Boston Spa, Clifford Moor Road is on the right hand side and the property is identified on the left by a Renton & Parr for sale board. ENTRANCE HALL Composite entrance door, double radiator, staircase to first floor. LOUNGE 13' 7" x 13' 5" (4.14m x 4.09m) Double glazed window to front, double radiator, tiled fireplace and hearth with open fire, ceiling cornice, two wall light points. BREAKFAST KITCHEN 17' x 7' 2" (5.18m x 2.18m) Range of wall and base units including cupboards and drawers, work surfaces with tiled surrounds, one and a half bowl sink unit and mixer taps, built in oven and hob, plumbed for automatic washing machine, space for fridge and freezer, tiled floor, radiator, double glazed windows to rear. Useful understairs storage cupboard, concealed gas fired central heating boiler, side entrance door. LANDING Loft access, double glazed window. BEDROOM ONE 13' 8" x 10' (4.17m x 3.05m) Including fitted wardrobes to one wall, double glazed window to front, radiator. Walk-in overstairs cupboard. BEDROOM TWO 11' x 10' (3.35m x 3.05m) Double glazed window to rear, airing cupboard with insulated tank, fitted wardrobe. SHOWER ROOM Tiled walls and floor with modern three piece white suite comprising shower cubicle, low flush w.c., vanity wash basin with cupboards under, heated towel rail, double glazed window. TO THE OUTSIDE Low maintenance gravelled forecourt with stone boundary wall and shared path with the adjacent property. Side path to enclosed rear garden with handgate access to rear. Ginnel. Garden shed.